The largest Quercetti set available. The set includes many different components, including double-entry funnels, spirals, long bridges, short bridges, straight rails, curved rails, paddle-wheels, bell-shaped bases, marble launchers and 20 marbles. 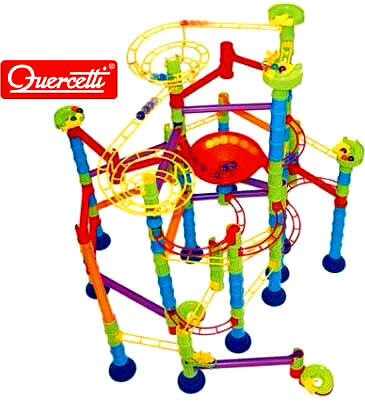 Quercetti marble run 224 piece set.